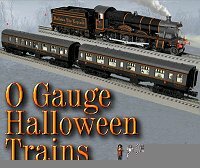 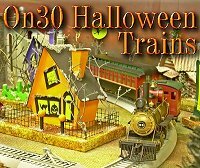 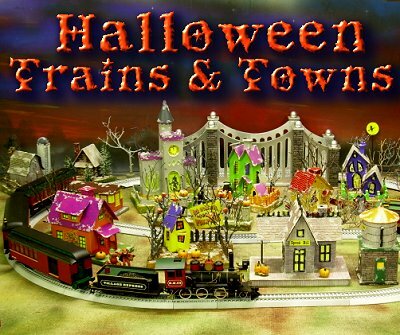 Halloween Storefronts A unique vintage-looking Halloween craft inspired by tinplate candy boxes of the early 1900s, many of which found their way to the train table once the candy was gone. 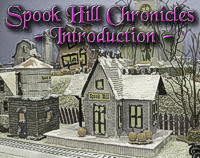 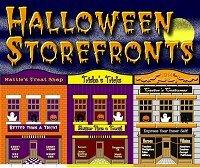 Though they keep the vintage lithographed-building look, they have unique colors and signage that will bring a bit of spooky cheer to your own little communities. 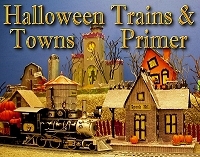 Click on the picture to the right to go to the free downloadable graphics, plans, and instructions.